We are now four weeks into the year and our overall leaderboard has started to take shape. Rob Vinciletti has absolutely destroyed the competition booking his clients a profit of $2,875 so far. Mike Lundin has been at the top or in the top 5 for the last seven days for quite some time, but Tony Bucca overtook him last night and has earned clients $953 over a seven day span compared to Lundin’s $813. Bucca is one of the most electrifying/dominant sports handicapper in America. 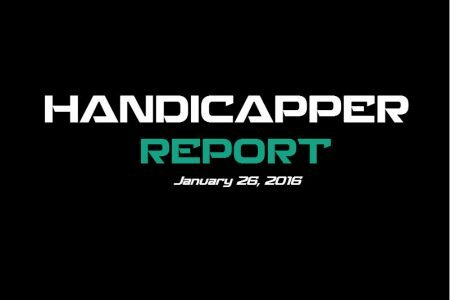 A handicapper for almost 20 years, Mr. Bucca always makes money for his clients. Purchase a package today & start making money right away. Phoenix is a disaster right now with the plenty of ugly losses and injuries. Brandon Knight will be missed alongside Jon Leuer who is doubtful. Markieff Morris will most likely have to give it a go with a sore shoulder but the Suns are just too thin and will not be able to run with the Sixers tonight. Both teams are pitiful, but the the Sixers are always looking at the upside and learning how to play together with players buying into the coaching schemes to highlight their cohesive ability to move the ball. Ish Smith is more than a welcome addition and Okafor’s numbers are improving because of it. The Suns won a shocker at home to Atlanta on Saturday but it’ll only serve to diminish their motivation for this game ,especially since they’ve got Lebron and the Cavs tomorrow followed by their one and only game in MSG against the Knicks. The 76ers will catch them overlooking this game and they’ll counter with a unified young offense against a makeshift group of mostly bench players who are clearly in doubt of their identity as a team in Phoenix. Look for Philly to capitalize in this matchup. The Suns are 0-5 ATS on the road while Philly is 5-1 ATS in their last 6 overall. NBA GAME OF THE WEEK ($29): Look out for Ari Atari and SportsAtari to make some noise tonight with an unbeatablePREMIUM PICK in the NBA that is guaranteed to win or Wednesday is on the house. This one will not be in doubt. 13-6 NBA RUN in 2016.